Published on 3 September 2012. 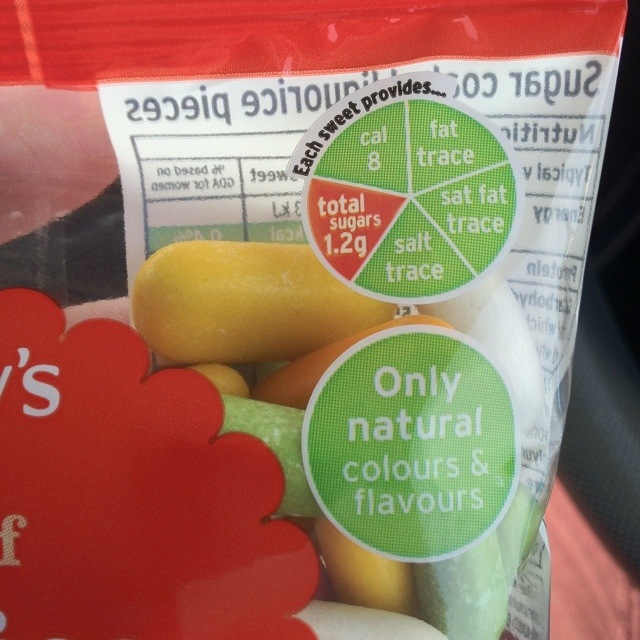 I know we’re supposed to love Sainsbury’s for embracing traffic light labelling, but when those traffic lights show data for a single liquorice comfit in a bag of 44, it’s difficult to conclude that they’re really entering into the spirit of the exercise. Especially when the same packaging claims that a single serving is 11 comfits…! This 1,791st post was filed under: Photo-a-day 2012, Retail.